Ace Forming’s technical expertise has been to the fore again recently, with a new aerospace order successfully secured from Germany. With the current supplier having difficulty with the tolerance of some formed parts, our engineering experts came up with a solution that delivered the accuracy they required. 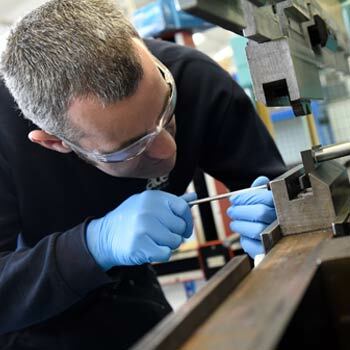 The component, which is used within the bodywork of the aircraft fuselage, has been formed first to a larger state and then machined back into its correct size, alleviating shrinkage issues. It is the latest in a series of new wins from aerospace customers and should see the sector account for 10% of our turnover in 2016.